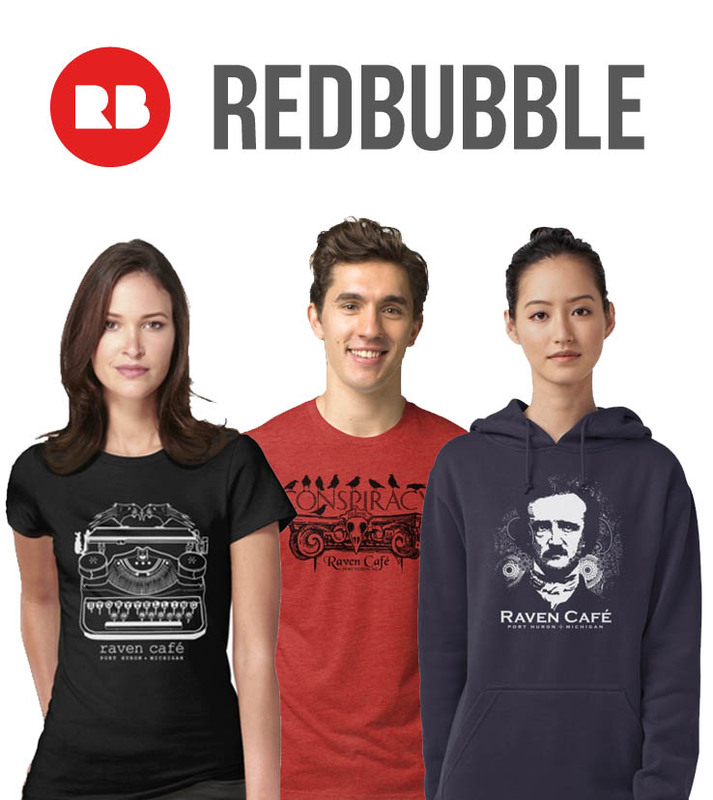 All designs, in all sizes, and colors available on REDBUBBLE! We have bagged coffee, tea, chai, mugs, travelers, t-shirts, crafts produced by local artists and all sorts of good stuff in out gift corner, but if you just don’t know what to get, consider a one-size-fits-all gift card. We’ll even drop ship one direct for you, to a loved one of your choice, in a greeting card with a special message. It’s easy-peasy, just fill out the form below, SUBMIT IT, and then select the denomination of your choice and complete your transaction via PayPal. !! !After completing the form above and hitting SUBMIT – then choose the PayPal link below that matches the denomination you chose!!! Drop ship a Raven gift card in a specialized Raven greeting card to a loved one. Great for holidays and birthday. One size fits all! *Shipping & handling fees include personalized message and first class postage.